I’ve written a ton about all the great potential of brain stimulation and particularly tDCS. There are many studies and plenty of anecdote related to improving memory and creativity, reducing chronic pain, treating depression, etc. More about all of that later. The National Center for Health Statistics just announced that the U.S. suicide rate has climbed to a 30-year high. This coupled with data that we have long had in hand – about 10% of the U.S. population is clinically depressed, that there are about 40,000 suicides in the U.S. every year, and that only about 20% of the people needing depression related treatment actually get it – tells you that our national mental health system is a failure. There are two popular kinds of electrodes, stick-on and sponge. Stick-on electrodes are simple and very useful when hair won’t get in the way. They are used once (or a few times for some) and discarded. Sponge electrodes are preferred by most using tDCS as it can be used on skin or over hair, can be reused many times, and has a low cost per use. Amrex has been the big dog in sponge electrodes for the tDCS world for a long time but competitors are emerging and I’d like to cover two of them here. First, Caputron (www.caputron.com) introduced a nice “clone” of the Amrex electrode some time ago and continues to offer it today. It is available as a 3×3 (typical size used in tDCS) or 2×2 shell (about 2×2 and 1.1 x 1.1 sponge contact dimension). 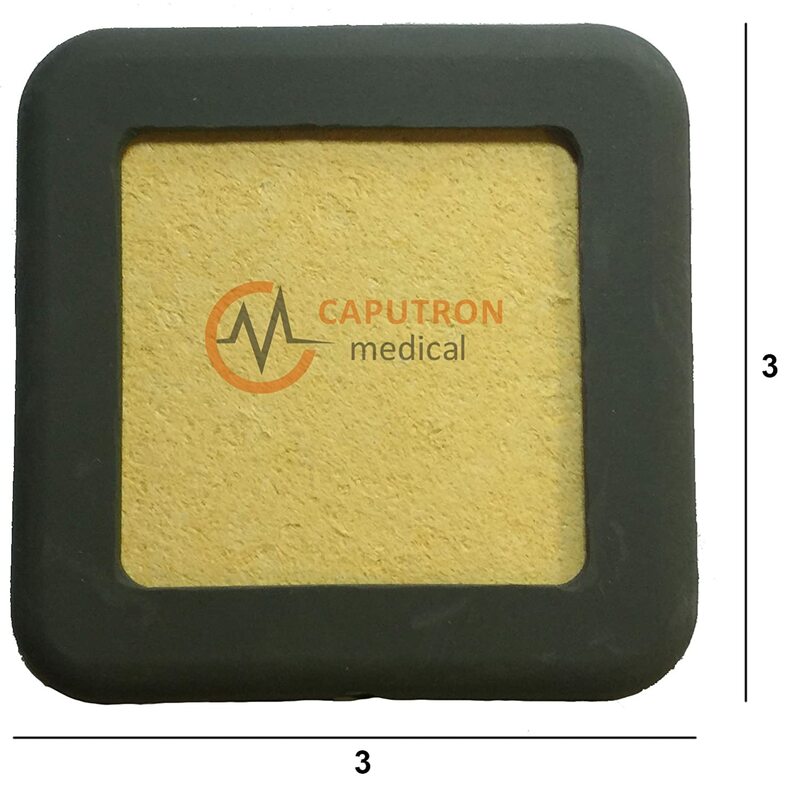 The Caputron electrode does have two distinct advantages – first they are more flexible and conform to curves of the skull more easily, and second they are much less expensive! A 3×3 electrode is only $12! They, like the Amrex electrodes have a banana jack for connection and a stainless steel screen behind the sponge for even current distribution. Also like Amrex electrodes, you can buy replacement sponges from Caputron (about $1 each) – or make your own from kitchen sponges. Caputron also offers a nice, general purpose strap system that can be used with any brand of sponge electrodes. It’s called the Caputron Universal Strap System and is made of rubber (not latex). There are two independent straps that are marked with a centimeter scale that makes accurate placement of electrodes easy. The system is stretchy and very adjustable for position and head size. I really like this strap system and you will too – if you don’t mind the $75 price. foc.us (famous for the foc.us V2 brain stimulation device and the new Go Flow tDCS device) is just releasing a new sponge electrode system for the V2 and Go Flow that is very interesting! It consists of a rubber-like shell (about 2×2) and sponges that when inserted result in a 1.25 x 1.25 inch sponge contact area. To connect to the foc.us sponge electrodes, you need a special V2/Go Flow cable that attaches magnetically to the electrode shell. That means the problem of having an electrode jerked off of your head should you become tangled somehow goes away. This is a vastly better connection technology than the banana plug and socket used by many manufactures. foc.us is also releasing a companion head strap with strategically placed cutouts that allows easy and repeatable placement of the electrodes on your head. This new strap ships as part of the “Go Flow Pro” which includes the tDCS device, wires, strap, electrode shells (and sponges) and will be available for separate purchase too. All of the items mentioned in this blog post (including Amrex and foc.us) can be purchased from Caputron (www.caputron.com). It’s great to have a dealer here in the U.S. that is carrying a huge variety of devices and accessories. I suggest you visit their web site and have a look. There are many articles about tDCS available on my blog ( www.speakwisdom.com ) and via www.diytdcs.com . In mid-March of 2016, foc.us released a version of the Go Flow with sponge electrodes. This now becomes my “ideal” for someone new to tDCS. Sponge electrodes are very versatile and are reusable. The new “Go Flow Pro” includes the tDCS device, wire, sponge holders, sponges, and headband – all for $99 plus shipping (from London). I’m leaving the rest of the post (below) in case you prefer stick-on electrodes or wish to make your own connecting cables. In the last few years I’ve written plenty about tDCS (transcranial direct current stimulation), what it can do, various tDCS devices, etc. It’s been fun and gratifying to watch the whole “brain hacking” arena develop and grow – to the point that a good level of maturity has been obtained. Thousands of people have improved their lives in significant ways through tDCS – improving their learning/memory, easing depression and chronic pain, improving athletic ability, and much more. 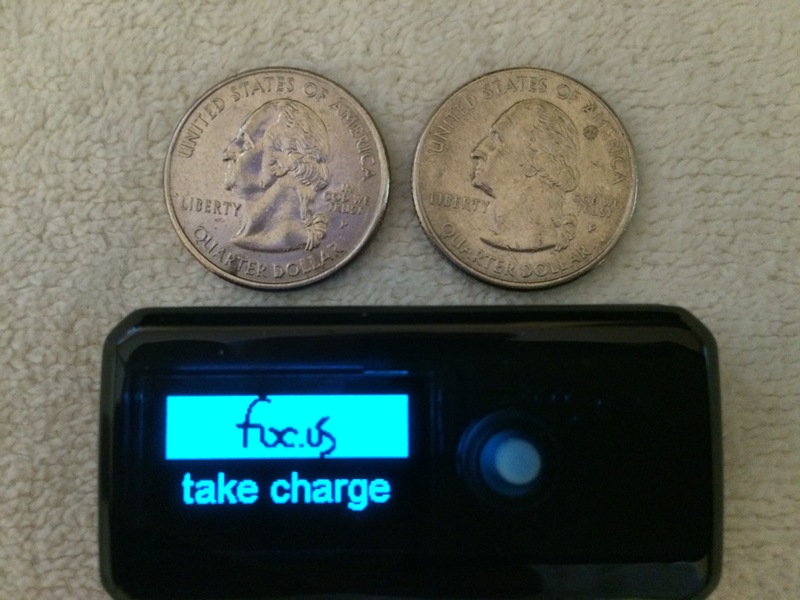 tDCS Device: My current favorite is the foc.us Go Flow ( http://www.foc.us/focus-go-flow-tdcs-brain-stimulator ) You can buy this cool little device for $39.99 plus shipping! It is tiny (easy to carry in your shirt pocket), versatile, and does all the important things a tDCS device should do. The kit includes the tDCS device, connecting wire, stick-on electrodes, and a 9 volt battery. Electrodes: Most people do best using sponge electrodes. I prefer Amrex 3×3 electrodes. They are available from many medical supply houses (Caputron Medical), Amazon, and more. They cost around $20 each and you will need two. The sponge can be easily replaced with a cut kitchen sponge when necessary. You will need a cable to connect the electrodes to the Go Flow and its adapter cable. I suggest ( http://www.bluemoonhealth.com/tens_supplies_pages/banana_wires.htm ) It’s $6.95 plus shipping. There are other suppliers if you prefer. So what does it all add up to? You will spend a little over $100 to buy all of the above (and pay shipping). This is a very reasonable cost when compared to that of long term medication use or the price of fancier brain hacking devices. I use the exact setup shown above (as do some of my friends) and find it simple and convenient. Again, you may prefer a different brand or type of tDCS device. See my blog or do some Google searching for information on other tDCS devices in this same price category. If you think you might want something really sophisticated, consider the foc.us V2 . I think it represents the “state of the art” in DIY brain hacking capabilities. It costs considerably more ( $299 for the V2 module ), but can be used with the cables and electrodes mentioned above. Foc.us, the London based small business that keeps innovating in the DIY tDCS* and brain stimulation space now has a number of products in their line. Some people are confused about which parts and pieces to buy in order to have the right stuff to move ahead with a tDCS treatment (or other) program. I thought I could help a little with this blog post. First, you will need a foc.us V2 stimulator device. The device currently sells for about $199 and with current firmware is far beyond any of the competition in terms of versatility, capability, portability, etc. I won’t take time here to list all of the MANY things the V2 can do, but suffice it to say that manufacturers of “professional grade” tDCS, tACS, etc. equipment are probably nervous about where foc.us is driving prices and capabilities! In my opinion, the V2 is THE brain stimulation device to buy at its price point. Note: Though the V2 can be controlled via an IOS or Android device, it’s not really necessary. The V2 on-screen display and joystick will quickly and easily let you access V2 setup and features. Option 1: The Gamer Headset. This is probably the best choice for most stimulation (tDCS) situations. It consists of two sponge electrodes mounted on a flexible band. The electrode “holders” can bend inward to place the electrodes properly on the forehead. HOWEVER, I find it best to remove the electrode holders from the band and use an elastic headband to position the electrode sponges as desired. The Gamer headset does NOT restrict electrode placement – you just need to add your own elastic band. Option 2: The EDGE Headset. This option should ONLY be selected IF you are interested in researching brain stimulation and its possible impact of athletic performance. 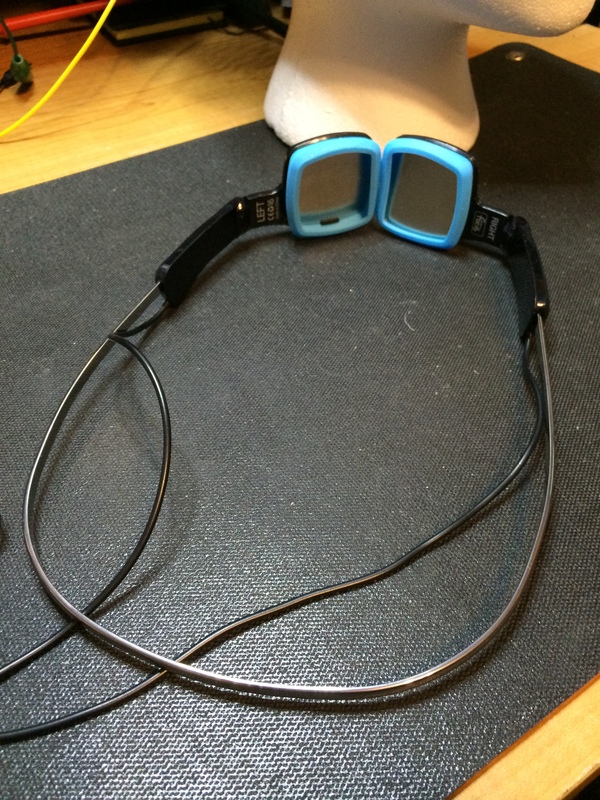 This is a special-purpose (not general purpose) headset. 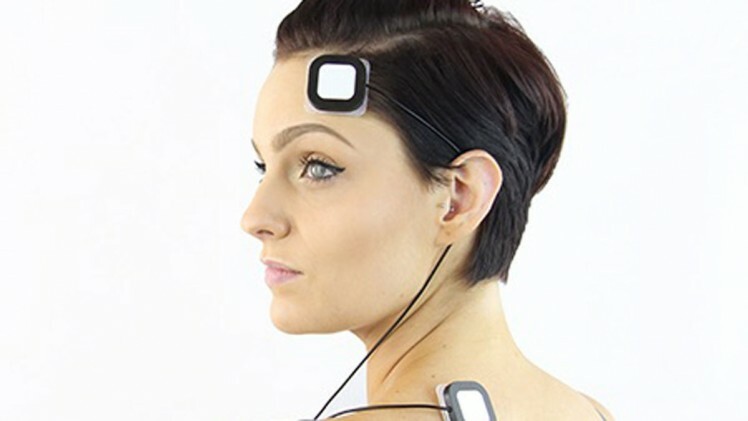 The electrode placements are unusual and will not address the needs of most tDCS users. This is a new option from foc.us. It is a pair of electrodes that adhere to open areas of skin (NOT HAIR or through hair.) Because of this, they are a bit limited in terms of where they can be placed. They are light and very comfortable – and do stick to skin well. But if part of your treatment montage involves placing electrodes over hair – you should select the GAMER sponge headset (or option 4 below) instead. Remember, the Gamer electrodes can be placed anywhere with an elastic band. I and many other brain stimulation researchers and testers have been very pleased with the line of sponge electrodes from Amrex. Most of us use the 3×3 Amrex, but sometimes the smaller 2×2 is useful. The Amrex sponge electrodes are not cheap, but they are built to last. Foc.us to their credit makes it EASY to use your own electrodes, whatever you prefer, via a simple adapter cable (about $10 from foc.us). The cable allows you to plug in “TENS” compatible connecting wires, including those that have banana plugs for the Amrex electrodes. You can buy electrodes, wires, and more at almost any medical supply house – and via Amazon! As I have mentioned, foc.us is a SMALL company based in London doing incredibly innovative work in the field of brain stimulation technology – with a focus (pardon the pun) on the DIY marketplace (not the multi-million dollar grant driven labs.) I believe they have become somewhat overwhelmed by their own success. So YOU may encounter slow service on any special request you make of foc.us (tech support, returns, etc.) Be prepared to be patient. The foc.us web site also is overly complicated by its attempts to be trendy. I suggest you hit the “All Products” link at the top left as a starting point. By the way, foc.us will not diagnose or prescribe treatment for you – so don’t be upset if they ignore such requests. Do your homework on tDCS (brain stimulation), become informed, and make your own carefully considered decisions about brain stimulation and its appropriateness for your situation. It’s been a very busy summer and I’m long overdue in writing a review of Super Specific Devices (SSD) line of tDCS* equipment targeting the DIY marketplace. SSD has been quietly building some high-quality gear for several months now and their various models deserve a good look. Let’s start with the basic unit – on the SSD website, you choose a unit powered by either a 9 or 12 volt battery and an analog or digital meter. The tDCS circuit is a simple but reliable LM type current regulator with the added safety bonus of in-circuit current limiting diodes. All components are nicely soldered to a PC board and all connections to that board are secured with glue. SSD has chosen to build their tDCS devices into a nicely made and finished wood box – it has a more professional appearance than do many of the tDCS devices on the market today. Electrodes are connected to the device via a small “TENS” style connector on the side of the unit. All units are supplied with a starter set of lead-wires, non-stick electrodes, sponges, and self-adhering tape (rather than a headband). If you are really serious about tDCS, you might want to consider the accessory banana plug adapter cord for use with Amrex and similar sponge electrodes (about $10). Super Specific Devices also offers a new tDCS device that provides switch-selectable 9, 12, and 18 volt settings. The selectable voltage range helps deal with difficult electrode setups (like one electrode placed on the shoulder or arm, or stick-on electrodes) where a 9 volt tDCS device may not be able to overcome the higher resistance to deliver the desired current level. The ability to switch to 12 or 18 volts may make all the difference in reaching a desired treatment current level. The circuit in the voltage selectable units is again built around an LM current regulator with current limiting diode backup so maximum current cannot exceed 2.5 mA. Interestingly the digital display version of the voltage selectable unit is USB rechargeable! According to the SSD web site, the device is switch protected so that USB energy cannot be used during a tDCS session. This is a wise safety feature. The use of rechargeable batteries (rather than throw-away) and USB charging might be a good trend for all tDCS manufacturers to follow – just adopt the practice of isolating charging from operation as SSD has done! I have tested the 12 volt version (analog meter) and the voltage selectable version (analog meter) from Super Specific Devices and like them very much. They are solidly built using a tried and tested tDCS device design and are likely to provide reliable service for years. Given the low price of SSD units, I can’t imagine an individual going to the trouble to find all the components and taking the time to build tDCS device(s) with this level of construction. Time would be better spent buying and using the SSD device! I subjected each of the SSD devices I have on hand to my usual torture and use tests. In every case, the units delivered the current level specified. In my simulated failure modes, I was never able to exceed 2.5 mA output current. As with most tDCS vendors servicing the DIY market, SSD does not provide medical advice (diagnosis, treatment recommendations, etc.) The instructions they provide with each unit are complete in the sense of learning how to operate the supplied unit. However, each customer is expected to seek out other sources for information on tDCS, what is possible, and treatment montages. I continue to be pleased to see a wide variety of capable tDCS devices available to the public from a number of vendors. Units span a wide range from simple and cheap to more expensive and very sophisticated. Super Specific Devices seems to have found a niche in the middle with products that have a low price but a quality build, nice appearance, and solid features. I am so pleased that an assortment of excellent tDCS* devices is now reaching the market – making the benefits of tDCS available to more and more people worldwide. The range of devices is impressive – from simple and cheap to expensive and very sophisticated. I won’t take the time or space here to detail all the potential benefits of tDCS or why you should consider obtaining a device – but suffice it to say that millions of people could dramatically improve their lives with tDCS. tDCS can be used to treat depression, chronic pain, enhance memory, and much more. See the web sites I list below as a good starting point for more information on tDCS. The Apex type A “Adjustable Direct Current Generator” is a low priced but well-built device that uses a classic tDCS design that includes a 9 volt battery, an LM334 current regulator, a programming resistor to limit delivered current to about 2 mA and a meter to monitor current delivered. This design (and variations) have been used by do-it-yourselfers for years (I’ve built several myself) and has proven to be very reliable, simple, and safe. Apex saves you the considerable time and trouble to locate all the parts to build your own device by manufacturing a solid unit that looks like it will last for many years. 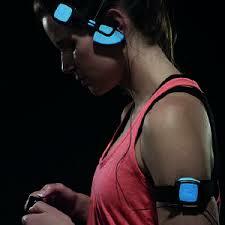 The base unit alone sells for about $99 and a complete kit including head-band, electrodes, wires, etc. is about $139 (plus shipping). As with most other tDCS device manufacturers, Apex does not provide medical advice, information about which tDCS electrode placements will work for you, etc. They leave it up to you to do your homework by reading the considerable about of material available online (see example links below) to decide if tDCS is right for you and what treatment method will work best. Meter: I consider this almost a must-have in a consumer tDCS device. It clearly shows the amount of current being delivered during a tDCS session. As you can see from the photos of the inside of the unit, build quality is very high. All solder joints are well-made and clean, and mechanical attachment of the circuit board, controls, etc. is very solid. Some may object to the use of hand-assembly / perf-board instead of machine assembly / printed circuit board – and I might too except that the electronics of this classic design are very simple and as you can see involve only six solder joints on the circuit board itself. As long as Apex continues good quality control and inspection procedures, this method of construction is perfectly fine. (Assembly is neat and well done. As far as a tDCS device is concerned, a human head is nothing but a big, liquid filled resistor. All the device does is try its best to deliver a consistent, stable one to two milliamps to cause the desired treatment effect. 9 volts is about the minimum that can reliably deliver the desired current level given circuit, hair, skin, etc. resistance that does it’s best to limit current flow. Many commercial tDCS devices use 12 or 18 volts – some go as high as 80 volts! The higher voltages make it easier to overcome higher resistance (for example if one electrode is on the forehead and one on the shoulder). But the higher the voltage, the more opportunity there is for a painful (if not dangerous) experience if something goes wrong. So many of the simpler tDCS devices elect to use a single 9 volt battery (or sometimes two in series). When you start a tDCS session, expect current to rise slowly (over two or three minutes) as your scalp or skin gets wetter. You may find it desirable to adjust the current control on the Apex Type A once or twice during your tDCS session. Apex does a nice job of providing a simple, reliable, well-built tDCS device that will do exactly what it is supposed to do – provide clean 1 to 2 mA DC for your tDCS application. They provide good operation instructions with the device and have a wide array of backup material on their web site. Well done Apex! 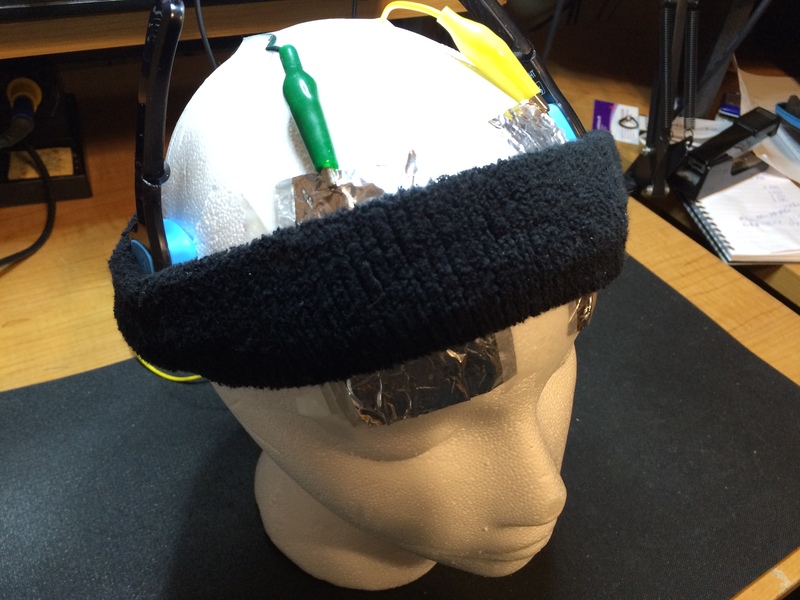 About two years ago foc.us burst on the do-it-yourself tDCS scene with a headset marketed to “gamers” – claiming to offer improved game performance (higher scores). 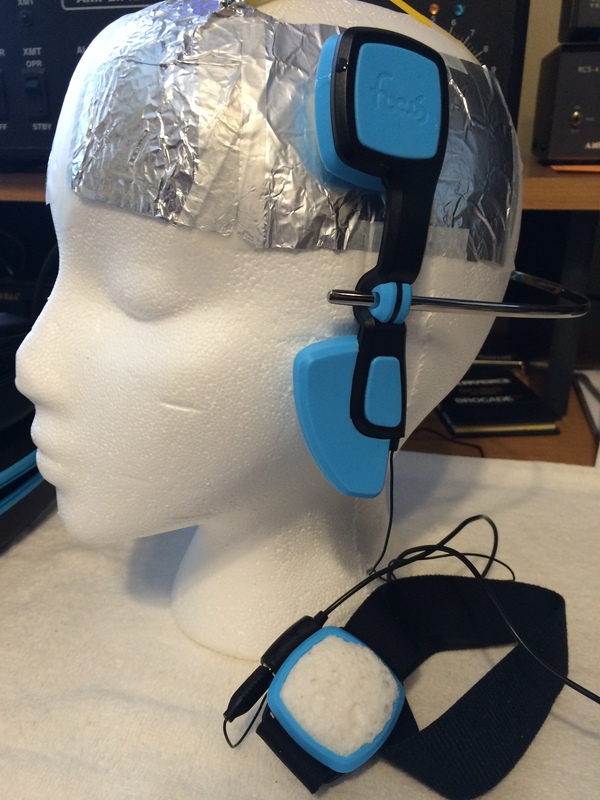 A few folks like myself recognized the foc.us headset (V1) for what it was – a remarkable, capable tDCS device that could be used for ANY tDCS related purpose including treating depression, chronic pain, enhancing memory, etc. – and yes, improving game scores! The V1 headset was truly a leap beyond anything else available to the DIY community offering an all-in-one headset that could be controlled via Bluetooth, offered built-on and external electrodes, all in a very nicely designed package. Critics quickly emerged, as they often do, describing customer relations related problems with foc.us – many justified, and technical issues with the product – many unjustified. It seemed foc.us was surprised by their own success and unprepared for the order volume and normal support requirements of such a leading edge product. By the time foc.us got its organizational problems resolved, the V1 was winding down and the company was preparing to launch the V2. Several months ago, Transcranial Ltd. launched it’s new foc.us tDCS product, the V2. It, like the V1, sets a high bar for the DIY tDCS market. In a tiny package easily small enough to misplace with your car-keys, foc.us engineers included all of the technical features of the V1, plus the added versatility of upgradeable firmware (new features), display screen with scrollable selection, redesigned and industry leading headsets, the ability to use 3rd party headsets and related accessories, and more! Interestingly, foc.us via their advertising, now seems to recognize the value of their technology for what it is, a real cranial stimulation device – not just for gamers – but for anyone seeking the benefits of tDCS and more. Since my initial posting about the V2 (see http://bit.ly/1Jilfpg ) Transcranial Ltd. has upgraded the feature set of the V2 in significant ways! The V2 now supports tDCS, tACS, tPCS, and tRNS as well an upgraded application for Android devices and soon iOS. The V2 can no longer be referred to as just a tDCS device – it’s now a fully capable, research grade, cranial stimulation device! It’s a Software World Now! An Android app is available (search for wave tdcs in the store.) An iOS app for the V2 is due anytime (the old V1 app does not seem to work with the current V2 firmware.) I will say that the on-screen display of the foc.us V2 is so good and so versatile that I’m not convinced that the apps currently add much value. Transcranial Ltd. is soon to release a EEG capability called “Quantum” that will apparently link to the V2 – and will probably make the apps very functional and important to use. Turn on the foc.us V2 and scroll to Settings, Bluetooth, and make sure Bluetooth is On. Very quickly your handheld device should find the foc.us device and request you type in a code number that you will find displayed on the foc.us device. Do that and you are ready to go! I’ve noticed that the Android app does not display remaining session time. You can see it easily on the foc.us device by tapping the blue joystick. Like most tDCS vendors, Transcranial Ltd. is trying to stay off of the FDA’s radar by making it clear that they are not producing a medical device – so they shy away from writing application guides and notes. This frustrates some. Users are left to their own creativity to learn how to properly use and get full advantage from a foc.us device (V1 or V2). To help V1 headset users, I wrote a pretty detailed set of instructions ( see http://bit.ly/1FSf6wb ) that seem to be popular. Would you like an equally detailed set of instructions for the V2? Let me know – if there is sufficient interest I’ll be happy to put that together. Finally, I’ve taken a good bit of heat via email and blogs for being a fan of foc.us. Unlike some, I saw very early on that their unique product(s), if used correctly, could be used to improve the lives of many – and that has turned out to be true. Foc.us continues to be one of my favorites in the world of tDCS and cranial stimulation and I, for one, anxiously await their next DIY leading-edge products and the pace they set for the industry. 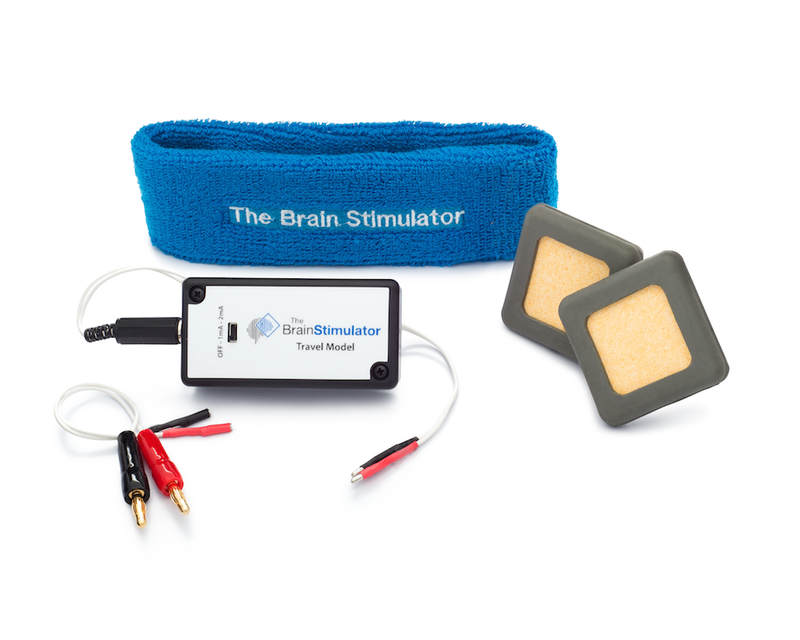 If you are looking for a high quality tDCS device that also happens to be ideal for summer travel, you should consider “The Brain Stimulator Travel Model”. This is a well-built, basic, tDCS device that can deliver 1 or 2 mA with the flick of a switch and can stand-up to being repeatedly tossed into a suit-case or travel bag, jostled around, and still come out ready to go and deliver a reliable tDCS session. Depending on the configuration you buy, it can cost as little as $55 – or a bit more with high quality electrodes and other accessories. The Brain Stimulator Travel Model also makes an excellent first tDCS device or a supplemental device if you already own something more sophisticated. It is built by JD Leadam and his team at Neurolectrics – real pioneers in the DIY tDCS marketplace. Neurolectics used a tried and true design built around a current regulator and a 9 volt battery. It’s simple, safe, and reliable – but because a 9 volt battery is used as its energy source, it is very important that sponge-electrodes be used and that they be well wetted with a saline solution in order to assure delivery of 1 or 2 mA (depending on switch setting). I always prefer that a DIY tDCS device have some monitoring capability (digital or analog meter) to assure that the desired current level is being delivered. Neurolectrics chose not to take that path with this device – I assume to keep cost at a minimum and the package as small as possible. 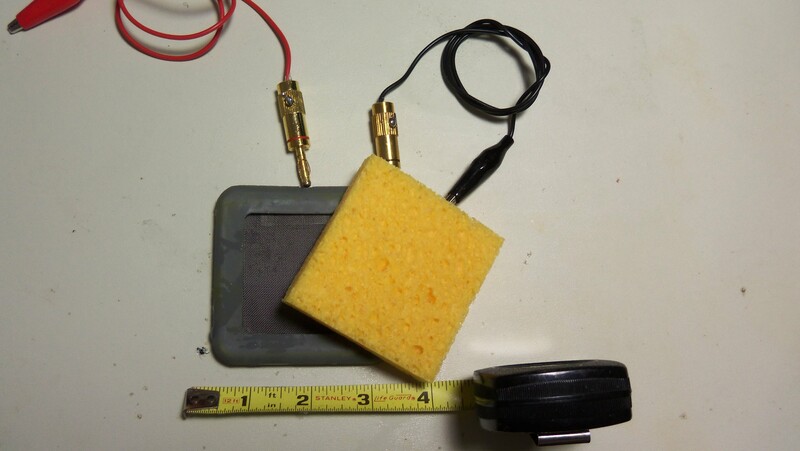 If you are a frequent tDCS user, I’d suggest changing the 9 volt battery every couple of months – and again – be sure to use well wetted sponge electrodes to help assure you receive the selected stimulation level. The Brain Stimulator Travel Model could not be easier to use! Simply wet the electrode sponges, place the electrodes as desired with a headband, flip the switch to 1 or 2 mA, and begin timing your tDCS session (20 to 25 minutes is typical.) When done, switch off the device, take off and stow the electrodes and you are done. If you really are traveling with the device, I suggest you remove the sponges from the electrode shells and place them in a small water-tight container. You should also wash them frequently with good soap and plenty of water to prevent anything undesirable from growing in them! I’ve taken several trips (including through airports and airport security) with the The Brain Stimulator Travel Model and found it to be quite handy for personal use and for demonstrating tDCS as seminars. Don’t expect any flashing lights or fancy meter with this unit. It’s basic tDCS – and it works.